Light acacia wood. A zen silhouette. A slatted, angular top. 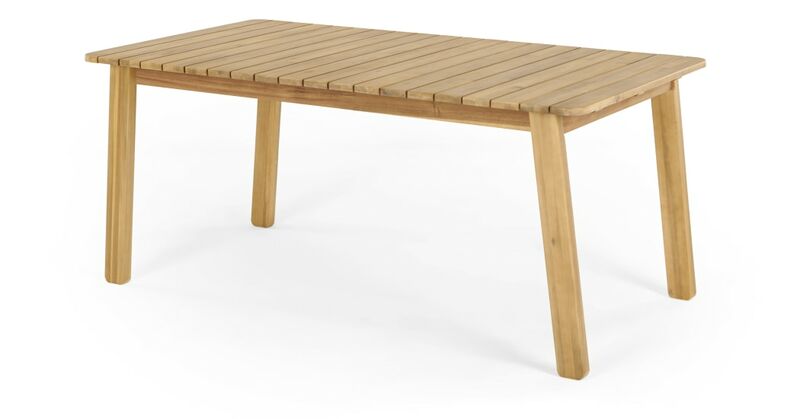 There's lots to love about our Jala outdoor dining table. This rectangular garden dining table has space for 6 chairs, meaning the whole family – or a dinner party of friends – can gather to eat al fresco. With back legs at a gently flared angle, there's a mid-century look to this garden furniture collection. But in light wood, with a dark and durable fabric seat, it has a Nordic, calm appeal too. Style it how you'd prefer.